Crop Technology and Laboratory Branch which was accredited on 8 test method (such as alveograf, wet gluten, falling number, crude protein, zeleny sedimentation, hectoliter, ash, moisture) on 11 February 2009, was also accredited on physical analysis test methods for cereals, paddy and rice by Turkish Accreditation Agency (TÜRKAK) on 30 September 2011. Thus the number of accredited test increased to 10. After the Expanding the Scope and Re- Accreditation Controls on 9 February 2013, our Laboratory?s accredited test number became 15 with additional 5 test methods (farinograph, extensograph, aflatoxin, fat determination and damaged starch) through the controls. Our results were authenticated through analyzing 102 sample which were sent by French Firm Bipea in 2014 for International Proficiency Tests which required accreditation. Our Branch participates to International Proficiency Tests 10 months of the year. The Crop Technology and Laboratory Branch was licensed as the REFERENCE AUTHORIZED CLASSIFIER (RAC) for cereals, pulses and oil seeds for 2 years by the Ministry of Customs and Commerce on 18 May 2011. RAC License of our Laboratory was extended for 2 years on 16 May 2013. 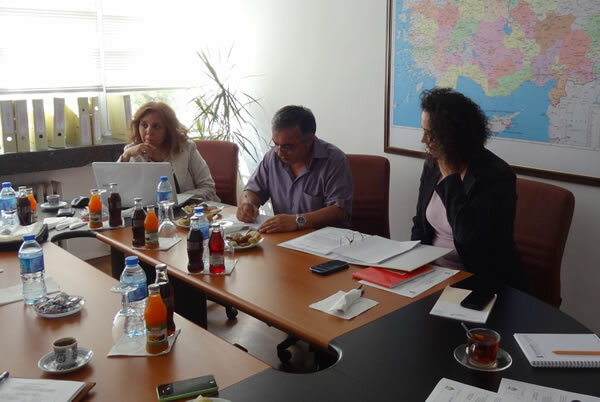 In total 16 laboratories of 8 Commodity Exchange Offices (Polatlı, Bandırma, Lüleburgaz, Ankara, Çorum, Gaziantep, Konya, Edirne Commodity Exchange Offices) and of 1 private foundation (AFC Laboratory Services) that applied to the Ministry of Customs and Commerce, General Directorate of Domestic Trade to get RAC License and doing the licensed storage activities were tested by our Branch. As a result of the controls all of the laboratories that applied to the Ministry of Customs and Commerce were provided to get RAC license. Their rutine and license renewal controls are also carried out on time. ?The Laboratory Operations Seminar? was held by Our Branch in 2014 for personnel and potential personnel of 16 laboratories on TMO Branches are in different province. Our 100 staff took this Seminar between the years 2010-2014. ?The Type Recognition Training? 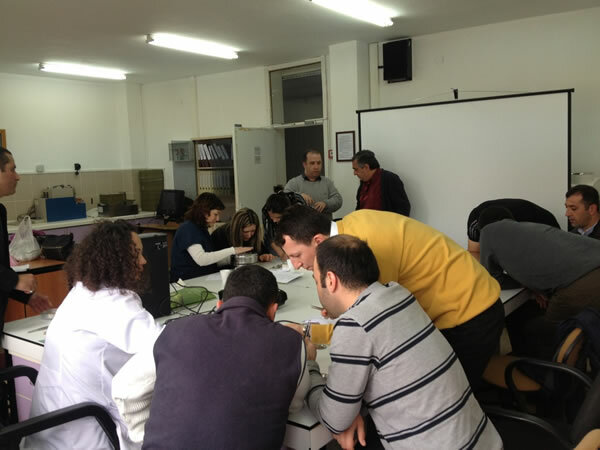 aiming Experts and Agricultural Engineers who works on all branches of TMO was given to 330 people between the dates 7 April-16 May 2014. As an Reference Authorized Classifier Laboratory The Crop Technology and Laboratory Branch gave ?Practical Laboratory Training? to its personel. 24 people in 2013, 21 people in 2014 who works at the Laboratories of Foundations/Establishments that have the RAC license were took education by our Laboratory. Analyzing 16 durum weat and 97 bread weat types in total 113 pure weat types which are harvested in 2014, results were sent to Researh Foundation and Establisments, Private Firms and our related units of our Foundation. In total 276 analysis demands from private firms, Ministry of Defense, Turkish Land Forces were met in 2014. In addition, approximately 1083 analysis were carried out while approximately 1304 analysis reports were prepared. These reports were sent to related units of private firms, Turkish Land Forces and Ministry of Defense. In total 686 analysis applications were reached to our Laboratory in 2014.